Read our helpful guide to second hand Alfa Romeo Brera. AA Cars works closely with thousands of UK used car dealers to bring you one of the largest selections of Alfa Romeo Brera cars on the market. You can also browse Alfa Romeo dealers to find a second hand car close to you today. 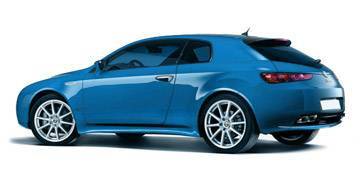 All used Alfa Romeo Brera on the AA Cars website come with free 12 months breakdown cover. Like the rest of the Alfa Romeo range, arguably one of the reasons the brand is so universally admired, the Brera is a beautifully crafted car, with sleek, elegant lines and a lavish interior. It doesn't quite live up to its sporty style however, as with a 0-60mph time of just over eight seconds there are competitors which can offer more power, but well weighted steering, excellent brakes and - especially in the 2.4 litre turbodiesel - good run costs, the Brera is a competent mix of style and substance. Production ended in 2010, but its look and drive make it a car which will feel current for many years to come.